감사원의 올바르고 청렴한 이미지를 모듈 속 화강석의 반복적인 선들의 교차와 정렬되는 질서를 통해 입면을 구성하여 균형과 조화를 이루고자 하였다. 업무시설과 직원 편의시설의 프로그램으로 구성된 제1별관은 전용 공간과 공용 공간의 합리적인 모듈 계획으로 기능성을 확보하고 근접해 있는 자연을 데크를 이용해 건물로 유입시켜 쾌적한 업무환경을 제공 하였다. 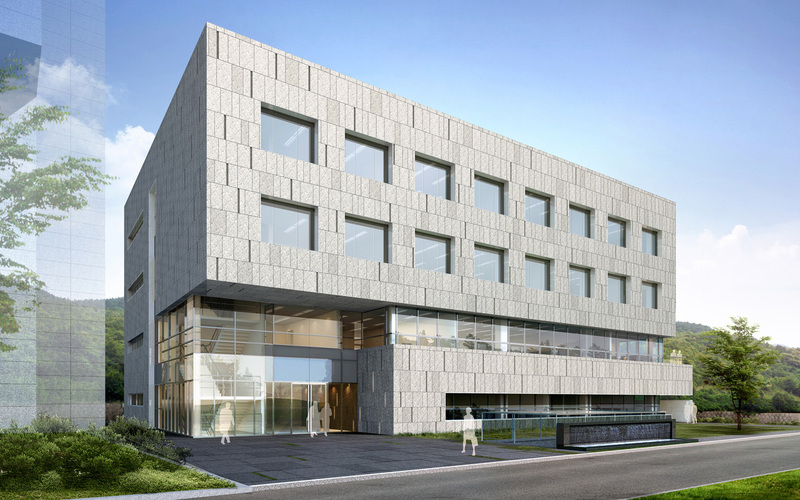 The goal of this project is to provide harmony and balance by composing the façade through the exchange of repetitive lines and arranged order, with granite modules used to express the upright and integrated image of the Board of Audit and Inspection of Korea. The first annex, which is comprised of offices and employee convenience facilities, secures functionality through reasonable modular planning of exclusive and shared spaces. Drawing nature into the building with a generous exterior deck provides a pleasant work environment.